At Saint Joseph’s, we know that overall health and wellness means exercising both mind and body. With our extensive recreational offerings for students, alumni, and members of the community, it’s easy to get moving and start improving! 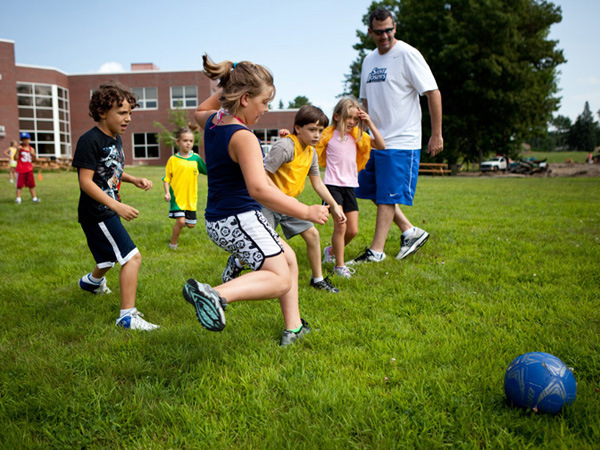 Step away from the books and take advantage of all 474 acres of Saint Joseph’s campus, which include brand-new outdoor courts and fields, miles of nature trails, and beachfront real-estate along the gorgeous Sebago Lake. Housing a gymnasium, six-lane swimming pool, running track, fitness center, aerobics and dance room, climbing wall, and locker rooms complete with saunas, the Harold Alfond Center is the campus’s hub for health and wellness. 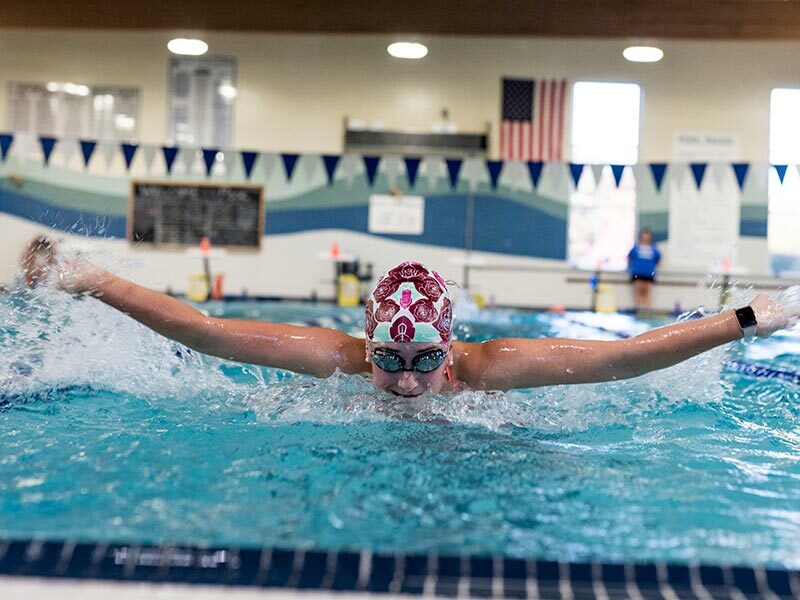 Dive right in and participate in the College’s various aquatic programs, such as open swim times, children’s lessons, and lifeguard training courses. Tired of sitting on the sidelines? Intramurals help transform spectators into active participants, and with 10 different sport activities, everyone has an opportunity to be a Monk. Saint Joseph’s state-of-the-art sports facilities are the perfect training grounds for young athletes. Click through to learn more about our individual programs offered year-round.